Latest (March 2009) buy stocks research report on Bharti Airtel with target price. Buying stocks of Airtel in current stock market scenario would be one of the best investments to make in year 2009. 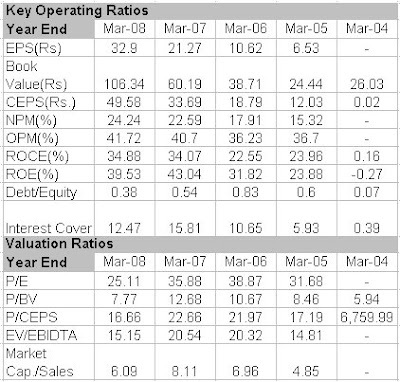 Sharekhan has maintained its buy rating on Bharti Airtel with a price target of Rs 789 in its March 09, 2009 research report. "The amended IUC regulations (effective 1 April 2009) will come as a relief for Bharti, despite a MTC (mobile termination charge) cut from Rs 0.3 to Rs 0.2 (in line with our expectations). It could have been worse: the rival lobby had been pushing for an MTC cut to zero, which would have significantly dented Bharti Airtel’s earnings. Besides, a cut to zero would have enabled Reliance Communications, RCOM and other start-up networks to price outgoing cross-network plans far more effectively, and possibly resulted in a congestion in Bharti’s network. On the other hand, the cut does represent a setback to Bharti’s rural expansion economics." IIFL has upgraded its rating on Bharti Airtel to buy with a target price of Rs 710 in its March 12, 2009 research report. "Mobile-to-fixed termination charge has also been cut from Rs 0.3 to Rs 0.2, and this is favourable to wireless operators. Incoming TC on ILD has been raised only to Rs 0.4 from Rs 0.3, well below our expectation. We estimate that all these TC cuts -after factoring in licence fees, spectrum charges and service tax-will take 3.2% off Bharti’s EPS in FY10ii and FY11ii. We see the termination amendments as the termination of a lengthy period of uncertainty for Bharti. For the present, we see no significant regulatory threats, despite imminent change at the helm in TRAI. RCOM’s gains from this mild move will be limited, whereas Idea Cellular should be relatively unaffected. We upgrade Bharti to BUY with a target price of Rs 710," says IIFL's research report. "Given its large subscriber base, Bharti Airtel Ltd (BAL) receives a higher number of incoming calls from the networks of the other operators. Consequently, the reduction in TC for the domestic calls will have a negative impact of around 6.1% on BAL’s estimated earnings for FY2010. However, the negative impact would be partially mitigated by the positive impact of 1.6% on account of the increase of 10 paisa in TC for the ILD calls. Thus, the net impact of the changes in IUC regulation would be limited to 4.5% on BAL’s earnings for FY2010. We maintain our Buy recommendation on the stock with a revised price target of Rs 789," says Sharekhan's research report. I think the disadvantage would be partially mitigated by the advantage of 1.6% on account of the increase of 10 paisa in TC for the ILD calls.